Batter Up! ESPN’s All Star Division I Softball Talent Line-Up is Led by Top Contributors to the Sport - ESPN Press Room U.S.
ESPN’s industry leading NCAA Division I Softball television coverage is led by some of the most accomplished former players and decorated voices in the sport. Among the ranks are an Olympic gold medalist, a World Cup Champion, NCAA Women’s College World Series Champions and former All-Americans, along with a team of veteran commentators with a long history calling the sport. The schedule of more than 140 televised games begins in earnest this week on ESPN, ESPN2, ESPNU, SEC Network, Longhorn Network, and will continue through ESPN’s comprehensive coverage of the post season. In addition, more than 500 games will also be available to stream on SEC Network +, ACC Network Extra, and the ESPN App through the remainder of the regular season, for a total of more than 650 softball games offered this season across ESPN’s networks. Amanda Scarborough and Michele Smith will return this season as ESPN’s lead analysts for the regular and post season. Two-time All-American Scarborough joined ESPN in 2009 following an impressive career at Texas A&M. During her tenure with the Aggies, Scarborough was named Big 12 Freshman Player of the Year (2005), Big 12 Player of the Year (2005), Big 12 Pitcher of the Year (2007) and helped lead the team to its first NCAA WCWS appearance in more than 20 years in 2007. Two-time Olympic Gold Medalist Michele Smith joined ESPN in 1995 and has been an integral part of the network‘s coverage and elevation of the sport ever since. In addition to Olympic gold, Smith is an ASA Hall of Fame member and former two-time All American star pitcher at Oklahoma State University. She also enjoyed a successful international professional career, playing 16 years in Japan. The voice of softball, Beth Mowins, returns as a play-by-play commentator for the regular and post season. Mowins joined ESPN in 1994 and has called NCAA championships in basketball, softball, soccer, volleyball and has been the voice of the WCWS for 20 years. The ESPN veteran is also a staple for the network’s college football coverage and last fall became the first woman in more than 30 years to call an NFL game. Along with Scarborough and Smith, ESPN returns many of its star analysts from previous seasons and adds former Tennessee stand-out Madison Shipman to the mix. In addition to Mowins, Adam Amin, Cara Capuano, Tyler Denning, Tiffany Greene, Melissa Lee, Alex Loeb, Courtney Lyle, Mark Neely, Matt Schick and Pam Ward will handle the majority of play-by-play responsibilities throughout the season. 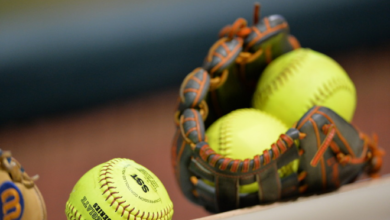 ESPN’s NCAA Division I Softball television schedule and commentator assignments for March 2018 can be found below.